Rhyme goodnight to a pirate crew, a ship’s cat and a starry sky. The best kind of bedtime. What’s your favourite way to snuggle up to sleep? Ours is with this exciting rhyme. Great for anyone who likes to sail the seven seas and find buried treasure. Does that sound at all like you? Say goodnight to a pirate ship at sea, bravely flying its Jolly Roger. Just don’t forget to include the ship’s cat and the parrot! 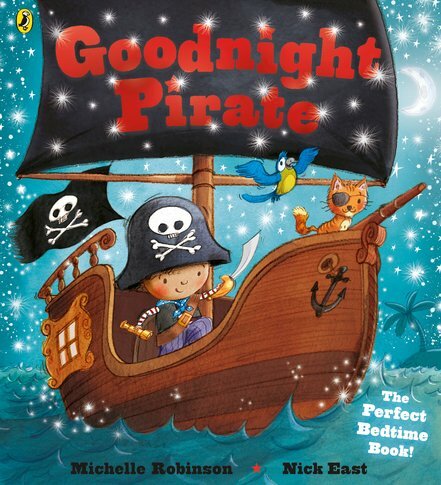 Sail the ocean waves to dreamland with this cheerful rhyme, full of merry pictures and swashbuckling pirate antics.